I feel like this is going to be a long post, a post that will be spilling the truths of my first year at University. So, sit down, grab a drink and get ready for the stories of a dramatic year in the life of Lauryn. After about 10 trips to and from the van with my excessive amount of belongings, my parents evidently judging me for how much I had packed and a few awkward "hello's" with my new neighbours, I had moved into my new bedroom. It was weird, it felt empty, yet somewhat suffocating already. I was nervous about Freshers week; anyone who knows me will know that this type of thing is not my cup of tea at all, I couldn't handle the thought of going out to clubs and this was sending me into an ongoing panic attack (I think I'm still having this panic attack now tbh). While I did socialise with my flat for some of that week, a lot of my evenings were spent by myself in my room; on video call to Josh or my parents. Wow, you're such a wild student, Lauryn. It really didn't help that I was so ill during Freshers week, I had been ill for weeks prior and so, it wasn't just the typical 'Freshers Flu' (although, I'll tell you something, you'll never escape that, no matter how many cold and flu tablets you stock up on). I enjoyed Freshers week so much (not), I ended up going home halfway through the week because I just couldn't handle it. At this point, I noticed I had no idea what I was going to do about my living arrangements in second year. Other than one friend, I was clueless. Making friends is easier said than done. People say that University is the best place to meet new friends but I beg to differ unless you're confident and/or look at all approachable; unfortunately, I'm neither of those. Thankfully, I found someone who was connecting people who were looking for potential housemates - I was a bit wary at first, I never expected to have to do this. However, 24 hours later, I was walking to Spoons with my friend to meet 3 other girls and I realised that we had definitely made the right choice. These girls continue to my closest friends at University and I am always thankful for that and so excited to live in a much more positive atmosphere with them next year. Finding a house for second year was surprisingly easy; we didn't expect to go with the first one that we viewed but it was perfect for us and it's in a great location too which means no more neverending hills to get to University next year! (If you're planning on coming to Exeter Uni, we aren't joking when we say the hills are an actual killer) Within a couple of weeks, we had paid the deposit and it was all finalised. I'm so glad that we got it done early because I don't think I could have coped with stressing about it now. As I was becoming better friends with these people, I realised that my so called friendships with others were not friendships at all. It felt just like it always does; isolating and confusing. People never really seem to take to me. The problem is, not many people understand someone like me. Hey, I don't even understand myself. Anyway, it's times like this that make you realise that you're only communicating with people because you live in the same flat or you're on the same course. Many things in first year were just a bit odd; I guess you could say it was just about getting used to everything but all of my experiences felt a little bit different to everyone else's. I always seemed to stand out. It was getting to be a bit of a problem. I wasn't leaving my room as much as I should have been and then, something happened that made this whole leaving the flat thing a lot worse. In brief, I was walking to campus one day when a woman stopped to chat and I assumed she was just a parent of a student so it felt harmless, the conversation became a little weird and it just got too much when she grabbed my wrist and shoulder and refused to let me walk away meanwhile, screaming lots of random things at me. The whole experience feels like a bit of a blur; what doesn't feel like a blur was the fact I refused to leave my flat for about a week afterwards - it doesn't sound like that big of a deal now and I know there's going to be people reading this thinking that I'm exaggerating but at the time, it really shook me up. However, I was beginning to feel more and more uncomfortable in my flat. I felt like I didn't belong, like I was constantly in the way and like I couldn't be anymore different. I had to do something about it. I was glad to go home for Christmas for a couple of weeks but I knew that when I got back, something had to change. I couldn't keep feeling terrified to go into the communal areas. It got to the point where I wasn't eating until 11pm at night, just waiting for the kitchen to be empty. I don't know why but I expected to feel better after Christmas, I expected to feel ok in the flat but I should have known that wouldn't happen. I started looking at moving to a new flat, but first, I had to get through exams. They were quite different from A Level and I was convinced that I had failed them all. However, I obtained three 1sts and two 2:1's so it's safe to say that they could have gone a lot worse. Those grades, paired with my continuous 2:1's in coursework made me feel a little bit more confident for second term. That confidence didn't last long. Moving to a new flat was long overdue; I guess at times, you just realise how insignificant you are somewhere and you need to get out of that situation. I mean, I did just move to the block next to the block I was currently living in but hey, it was something. I'm going to be writing a whole post on the pros and cons of student accommodation but let's just say, I wouldn't be leaving Exeter at every opportunity if something wasn't wrong. Just after I moved to my new flat, I became ill again (surprise, surprise) and I also had my first internship interview for a blogging and social media role. I didn't get the internship but I received some lovely feedback from the people who interviewed me so it didn't affect me too much. If anything, I was still shocked to have made it to the top 5 candidates. This term has been full of ups and downs. It has gone so quickly and what with the strikes and the snow, I feel like I really haven't been at uni very much. I'm panicking about exams at this point but I know I just have one essay and four exams left and then first year will be over. I'll have a break. However, we all know that I don't know how to take breaks. 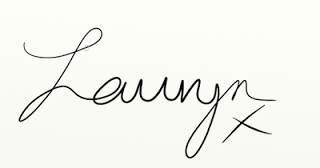 Oh Lauryn, why are you such a perfectionist? One of the best things that has happened this term is the start of my internship. I am now the business content and social media assistant intern for the Universities campus services and it feels so good to have a job that I enjoy and not one that leads to me hiding in cupboards; old cleaning job, I'm looking at you. I've also progressed so much with my writing since being at University; contributing to the University newspaper and magazine while being a blogger for Unite Students and Liberty Living. I also feel a bit more confident about where I want to go with my career after University and how to get there so that's definitely something. I feel like first year is difficult because part of you thinks you don't need to worry about jobs yet because well, you're only first year but the other part is constantly panicking and checking for new opportunities every 5 seconds; I must admit, the latter is me 99% of the time. As I said, this term has been full of ups and downs. As I write this, it's more of a down. I'm constantly overthinking whether I'm on the right course and what I want to be doing and feeling as though I'm not good enough to be on my course. It's stressful and draining. I'm supposed to be picking my modules for second year soon and I don't really know what I'm doing. I enjoy being at University (for the most part) but seriously, nobody prepares you for the added stress that is wondering what you're doing with your life every 10 minutes. Another thing that I'm particularly struggling with at the moment is communal spaces in my flat and them being very messy and gross. As someone who struggles with severe sensory issues, this has become a daily struggle for me and a constant source of panic and it just makes me want to scream a little bit. To end on a positive, it could have been a lot worse. Other than having to deal with some pretty awful people and situations this year, I have made some great friends who I'm looking forward to making more memories with. I've grown as a person and I'm looking forward to seeing what the rest of my University journey brings. I wouldn't go as far to say it's been the best year of my life but hey, I never thought I'd get into this University so... silver linings and all that. I've put myself in so many daunting situations this year that before, I never would have been able to cope with. 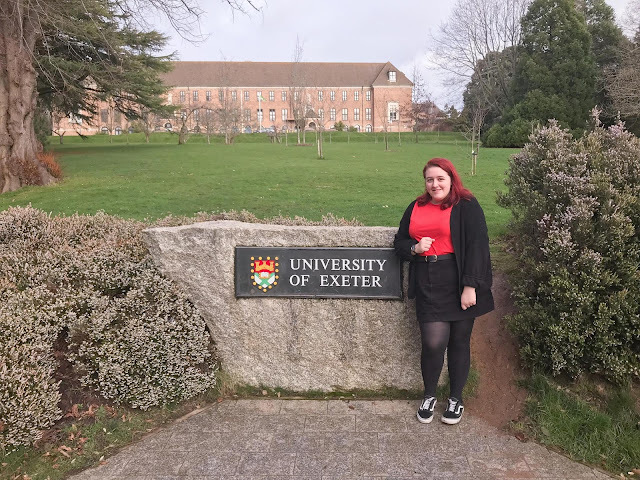 From meeting 948256390 new people, gaining valuable work experience and achieving good grades to being the founder of Exeter Bloggers and Influencers; I'm proud that I have achieved so much in such a short amount of time. Sometimes, I get a bit burned out and feel as though I've taken on a bit too much but I'm just grateful to have these opportunities. I think the weirdest thing is when people notice me around campus because of my blog; it never fails to surprise me that people actually read what I write. Also, just thought I'd say thanks to Josh, my parents and my friends for putting up with me saying I'm going to drop out 3495823 times a day and thank you to Spoons, you're the best next door neighbour a gal could ever have.